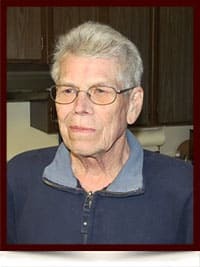 Gerald Leroy Dodge - Edmonton's Burial & Cremation Professionals | Trinity Funeral Home Ltd.
On May 20, 2017 Gerald Leroy Dodge passed peacefully away at the age of 75. In keeping with Gerry’s wishes, cremation has taken place, and no services are to be held. He will be lovingly remembered and forever missed by his family, friends, and those he touched with his love of the Railway, Trucking, and Country Music. Gerry will be missed and will forever remain in our hearts. We lost a friend. Jim & I knew Gerry for many years, he was our neighbour in Castledowns. He was a good friend, an all round good person. Known for his keen wit , raucous humor, resourceful, loved his pets, his Cadillac, country music and an awesome gardener. He was my political sparring partner. Over the years we had lots of laughs. We will miss him. Deepest condolences to his partner Linda and his family.